Is there a woman in fashion more inspiring than Diane von Furstenberg, or, as most people call her, DVF? We think not. DVF, the pioneer of the iconic wrap dress, isn't just known for her impeccable style, but also for her amazing words of wisdom. She's known for saying, "I didn't know what I wanted to do, but I always knew the woman I wanted to be." It's a beautiful sentiment, isn't it? Sometimes, you don't know where life will take you, or what your occupation will be – but you always know who you are, and you know to hold dear to that. 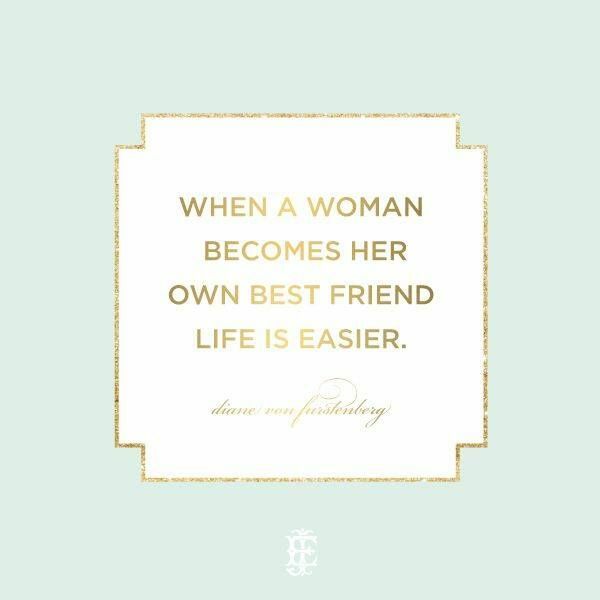 This lesson has served us well in life, as has DVF's mantra that you must be a friend to yourself first, because no matter what happens, you'll always have yourself. The woman might not call herself a feminist, but we'd be hardpressed to find a female powerhouse like her. With all that being said, we've got plenty of reasons to envy Diane's life. 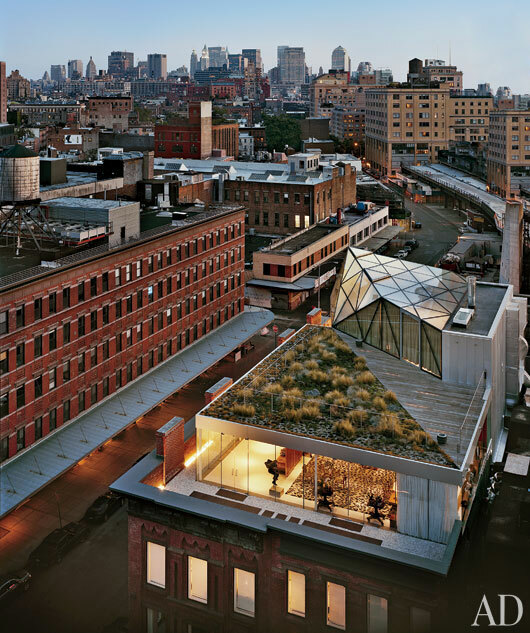 Her career, her self-assurance, and of course, her gorgeous penthouse apartment, a stunning architectural delight that's perched on top of her flagship DVF store in New York City's Meatpacking District. The woman. The legend. 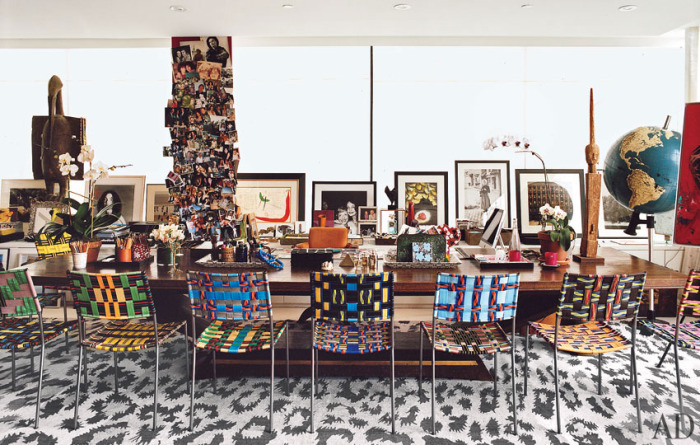 DVF in her penthouse apartment. Fun, funky, and totally one of a kind. Just like DVF herself. 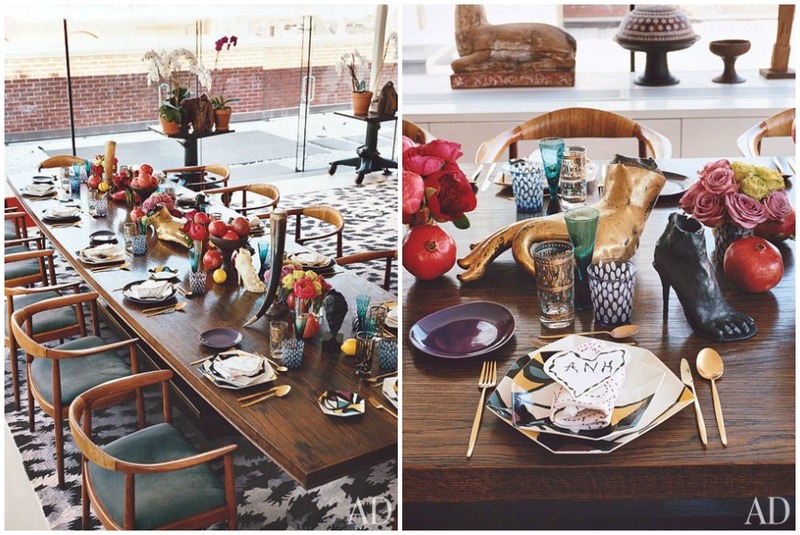 The woman knows how to design a hell of a wrap dress…and also, a hell of a tablescape. 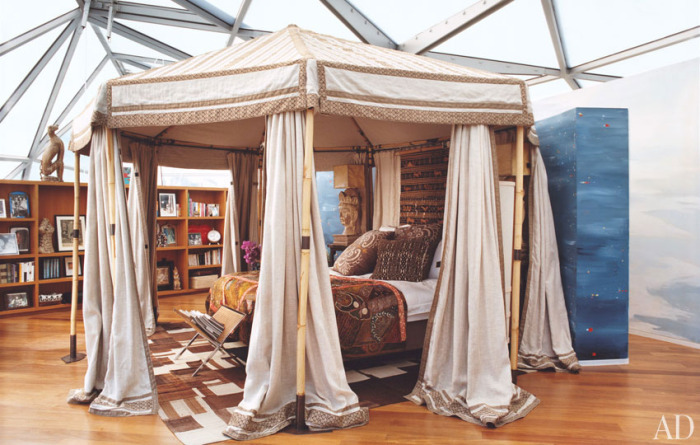 Can we just take a moment to recognize the glory that is this glass atrium ceiling and insane canopied bed? Hello, safari sleep! What a bathroom! Not exactly our style, but cool, nonetheless. 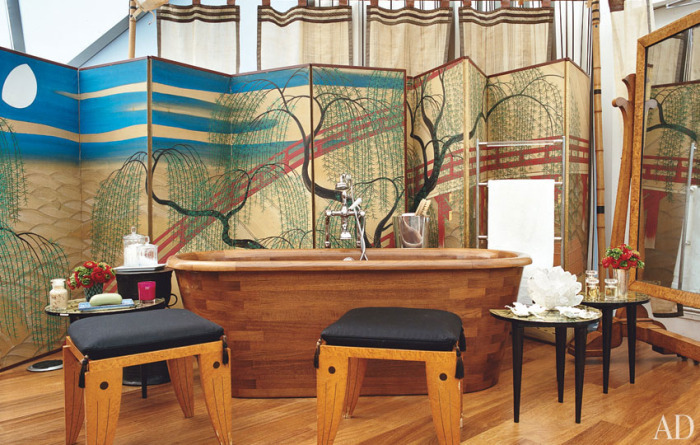 That wood tub is something else. Now we're talking. That bronze branch table base is to die for, isn't it? We love it paired with the oversized glass top and safari-style chairs. And of course, the view from above. Pretty impressive, isn't it?